Kochi ([koˈtʃːi ]), also known as Cochin ( ), is a major port city on the south-west coast of India by the Laccadive Sea. It is part of the district of Ernakulam in the state of Kerala and is often referred to as Ernakulam. With a corporation limit population of 612,343, and metropolitan population of 2.1 million, Kochi city is also a part of the Greater Cochin region, which is the largest urban agglomeration in Kerala and is classified as a Tier-II city by the Government of India. The civic body that governs the city is the Kochi Municipal Corporation, which was constituted in the year 1967, and the statutory bodies that oversee its development are the Greater Cochin Development Authority (GCDA) and the Goshree Islands Development Authority (GIDA). 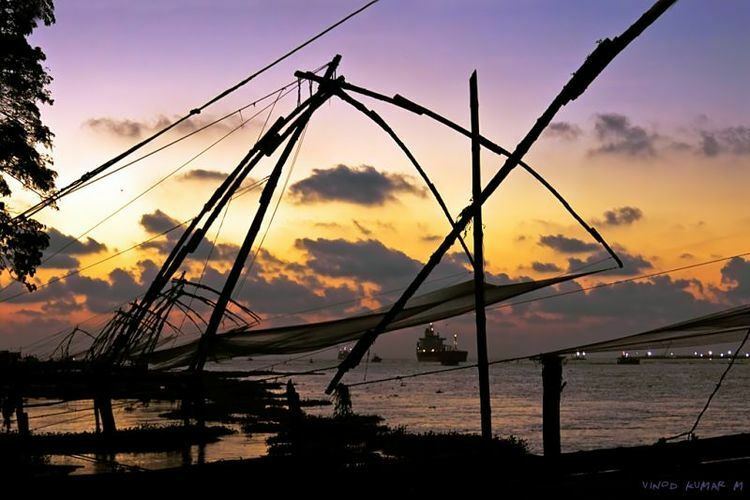 Kochi also known as the Queen of the Arabian Sea, was an important spice trading centre on the west coast of India from the 14th century onward, and maintained a trade network with Arab merchants from the pre-Islamic era. Occupied by the Portuguese in 1503, Kochi was the first of the European colonies in colonial India. It remained the main seat of Portuguese India until 1530, when Goa was chosen instead. 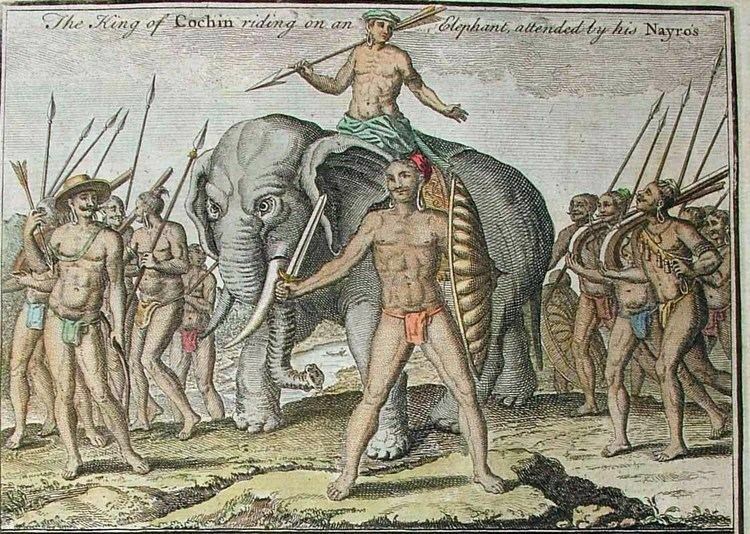 The city was later occupied by the Dutch and the British, with the Kingdom of Cochin becoming a princely state. Kochi ranks first in the total number of international and domestic tourist arrivals in Kerala. 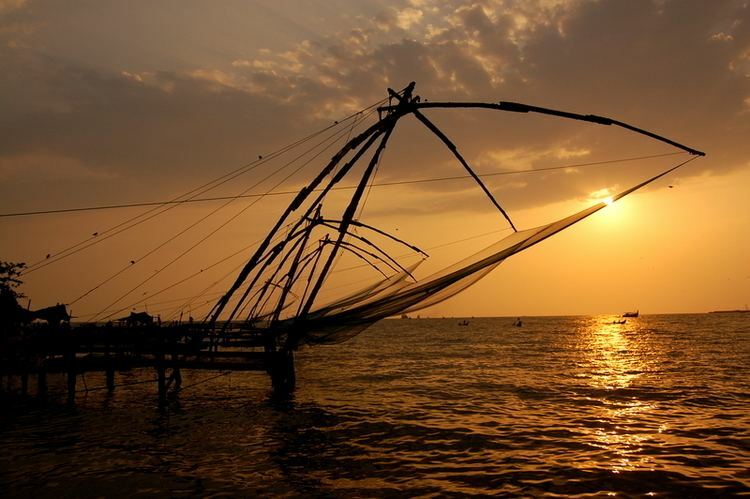 Kochi has been ranked the sixth best tourist destination in India according to a survey conducted by the Nielsen Company on behalf of the Outlook Traveller magazine. Kochi was one of the 28 Indian cities found to be among the emerging 440 global cities that will contribute 50% of the world GDP by the year 2025, in a 2011 study done by the McKinsey Global Institute. Kochi is the home to Southern Naval Command of the Indian Navy and the state headquarters of the Indian Coast Guard with an attached air squadron, named Air Squadron 747. Commercial maritime facilities of the city include the Port of Kochi, an International Container Transshipment Terminal, the Cochin Shipyard, offshore SPM of the BPCL Kochi Refinery, and the Kochi Marina. Kochi is also home for the Cochin Stock Exchange, International Pepper Exchange, industries like HMT, Cyber City, Kinfra Hi-Tech Park, chemical industries like the FACT, TCC, IREL, Petronet LNG, Merchem, HOCL and Kochi Refineries, electrical industries like TELK, and industrial parks like the Cochin Special Economic Zone, Smart City and Infopark. Kochi is home for the High Court of Kerala and Lakshadweep, Naval physical and oceanographic laboratory (NPOL), Indian Maritime University, Sree sankara Sanskrit University and the Cochin University of Science and Technology. Kochi is also home to Kerala's National Law School, The National University of Advanced Legal Studies. Kochi has been hosting India's first art biennale, the Kochi-Muziris Biennale, since 2012, which attracts international artists and tourists. Ancient travellers and tradesmen referred to Kochi in their writings, variously alluding to it as Cocym, Cochym, Cochin, and Kochi. The Cochin Jewish community called Cochin as Kogin (קוגין), which is seen in the seal of the synagogue which is still owned by the community. The origin of the name "Kochi" is thought to be from the Malayalam word kochu azhi, meaning 'small lagoon'. Yet another theory is that Kochi is derived from the word Kaci, meaning "harbour". The name Cochin implies "co-chin", meaning "like-China". It looked like China when the Chinese came to the region during the 14th century and installed Chinese nets. Accounts by Italian explorers Nicolo Conti (15th century), and Fra Paoline in the 17th century say that it was called Kochchi, named after the river connecting the backwaters to the sea. After the arrival of the Portuguese, and later the British, the name Cochin stuck as the official appellation. The city reverted to a closer Anglicization of its original Malayalam name, Kochi, in 1996. This change in name was challenged by the city municipal corporation but court has later dismissed the plea. Kochi was the centre of Indian spice trade for many centuries, and was known to the Yavanas (Greeks and Romans) as well as Jews, Syrians, Arabs, and Chinese since ancient times. Kochi rose to significance as a trading centre after the port Muziris around Kodungallur (Cranganore) was destroyed by massive flooding of Periyar in 1341. The earliest documented references to Kochi occur in books written by Chinese voyager Ma Huan during his visit to Kochi in the 15th century as part of Admiral Zheng He's treasure fleet. There are also references to Kochi in accounts written by Italian traveller Niccolò Da Conti, who visited Kochi in 1440. According to many historians, the precursor state to Kingdom of Kochi came into existence in early 12th century, after the fall of the Chera Kingdom. The reign of the Kingdom was hereditary, and the family that ruled over the region was known as the Perumpadappu Swaroopam in the local vernacular. Portuguese navigator, Pedro Álvares Cabral founded the first European settlement in India at Kochi in 1500. From 1503 to 1663, Fort Kochi (Fort Emmanuel) was ruled by Portugal. This Portuguese period was a harrowing time for the Saint Thomas Christians and the Jews, as the Inquisition was active in Portuguese India. Kochi hosted the grave of Vasco da Gama, the first European explorer to set sail for India, who was buried at St. Francis Church until his remains were returned to Portugal in 1539. The Portuguese rule was followed by that of the Dutch who renamed Fort Immanuel as Fort Stormsburg. In meantime, the Royal Family of Kochi relocated the capital of Kochi Kingdom to Thrissur, leaving nominal authority over Islands of Kochi. In 1664, Fort Kochi Municipality was established by Dutch, making it the first municipality in Indian subcontinent, which got disolved when Dutch authority got weaker in 18th century. The remaining part of Kochi were governed by governors of Kochi Kingdom. By 1773, the Mysore ruler Hyder Ali extended his conquest in the Malabar region to Kochi forcing it to become a tributary of Mysore. The hereditary Prime Ministership of Kochi held by the Paliath Achans ended during this period. Meanwhile, the Dutch, fearing an outbreak of war on the United Provinces, signed the Anglo-Dutch Treaty of 1814 with the United Kingdom, under which Kochi was ceded to the United Kingdom in exchange for the island of Bangka. However, there are evidences of English habitation in the region even before the signing of the treaty. In 1866, Fort Kochi municipality was reinstalled and its first Municipal Council seating contest was conducted in 1883. In 1896, H.H. Rama Varma XV, The Maharaja of Cochin, initiated local administration by forming town councils in Mattancherry and Ernakulam. In 1907, the Governor of the Madras Presidency, Sir Arthur Lawley and his brother, Beilby Lawley, 3rd Baron Wenlock, Governor of Madras, 1891 to 1896, left for an official tour of Cochin and Travancore, which lasted from 25 January to 14 February. On 26 January, they were met by His Highness the Rajah of Cochin who gave a State Dinner in their honour at Ernakulam. 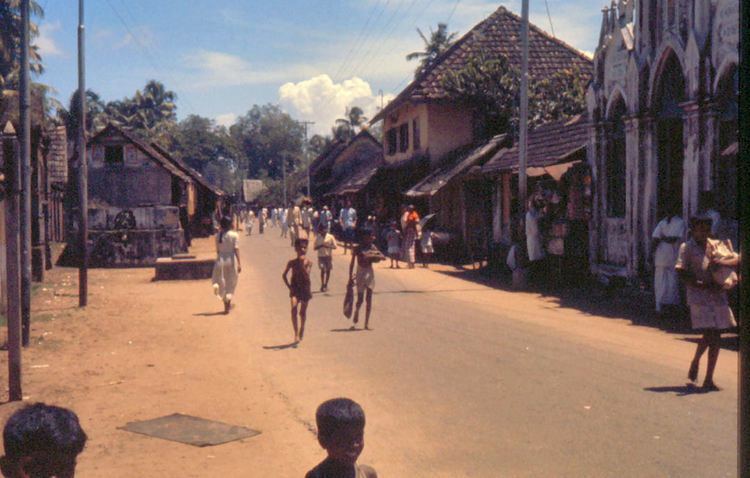 By 1870s, the capital of Kochi Kingdom was relocated again to Kochi Suburb of Tripunithura. In 1910, Ernakulam became the administrative capital of Kochi Kingdom with establishment of Royal Secretariat and State Durbar. The Offices of Diwan and High court were soon moved into Ernakulam. Kochi is located on the southwest coast of India at 9°58′N 76°13′E, with a corporation limit area of 94.88 km2 (36.63 sq mi). Over the years, the city has expanded considerably outside the corporation limit set in 1967, although the official city limits hasn't yet been increased. The city straddles the backwaters, encompassing the northern end of a peninsula, several islands and a portion of the mainland. To the west lies the Laccadive Sea, and to the east is the urbanised region in the rest of the mainland area. Much of Kochi lies at sea level, with a coastline of 48 km. Kochi's water needs are entirely dependent on ground water and the two rivers flowing through the district viz., Periyar and Muvattupuzha. Periyar serves the entire northern part of the city whereas Muvattupuzha river under the JnNurm project covers the West Kochi, East Kochi and parts of Cherthala taluk under the Japan Water Project Scheme. The city is administered by the Kochi Corporation, headed by a mayor. For administrative purposes, the city is divided into 74 wards, from which the members of the corporation council are elected for five years. Earlier; Fort Kochi, Mattancherry and Ernakulam were the three Municipalities in Cochin area, which was later merged to form the Cochin Corporation. The Corporation has its headquarters in Ernakulam, and zonal offices at Fort Kochi, Mattancherry, Palluruthy, Edappally, Vaduthala and Vyttila. The general administration of the city is handled by the Personnel Department and the Council Standing committee Section. Other departments include that of town planning, health, engineering, revenue and accounts. The corporation is also responsible for waste disposal and sewage management. The city produces more than 600 tons of waste per day and a large portion of waste is decomposed at Brahmapuram Soild Waste plant into organic manure. The supply of potable water, sourced from the Periyar River is handled by Kerala Water Authority with support of Water works department of Kochi Corporation. Electricity is provided by the Kerala State Electricity Board. The GCDA and GIDA are the government agencies initiating and monitoring the development of Greater Cochin area, mainly in developing infrastructure facilities for the city. Kochi is the seat of High Court of Kerala, the highest judicial body in the state of Kerala. The Kochi City Police is headed by a Police Commissioner, an Indian Police Service (IPS) officer. The city is divided into five zones and each zone under a circle officer. Apart from regular law & order, the city police comprises the Traffic Police, Narcotics Cell, Riot horse, Armed Reserve Camps, District Crime Records Bureau and a Women's Police station. It operates 19 police stations functioning under the Home Ministry of Government of Kerala. An anti-corruption branch of the Central Bureau of Investigation also operates out of the city. CISF maintains 3 squadrons for providing security to various central and state heavy industries, airport and seaport zones. Other major central agencies are NIA, DRI and Indian Customs due to the presence of major port. According to National Crime Records Bureau (NCRB), Kochi reported significant increase of 193.7 per cent IPC crimes in 2010 compared to 2009, and reported a crime rate of 1,897.8 compared to the 424.1 in whole Kerala. However, Kochi Police officials defended that in major crimes such as murders and kidnapping, the city registered a low crime rate even behind other cities in the state. Kochi is widely referred to as the commercial capital of Kerala. Kochi is home to Cochin Stock Exchange, the only stock exchange in Kerala. Federal Bank, the fourth-largest Private-sector bank in India is located in Aluva which is a suburb of Kochi. Being a major online trading centre in the country, Kochi has a newly opened SEBI office. Availability of electricity, fresh water, long coastline, backwaters, good banking facilities, presence of a major port, container trans-shipment terminal, harbour terminal and an international air terminal are some of the factors which accelerated the industrial growth in the city and its adjoining district. In recent years the city has witnessed heavy investment, thus making it one of the fastest-growing second-tier metro cities in India. Sales tax income generated in the Kochi metropolitan area contributes heavily to state revenue. The district contributes the highest portion, 41.74%, of the state's GDP. Construction and manufacturing combined contributes 37%, and trade, tourism and hospitality together provides another 20%. Major business sectors include construction, manufacturing, shipbuilding, transportation/shipping, seafood and spices exports, chemical industries, information technology (IT), tourism, health services, and banking. Kochi is recognised as one of the seventeen major industrial cities of India by World Bank, Doing Business Group. However, in the 2009 rankings of ease to start and operate a business, among the 17 Indian cities selected, Kochi was rated as the second most difficult city to start business and was ranked 16th, above Kolkata. As in most of Kerala, remittances from non-resident Indians (NRI)s is a major source of income. Eloor, situated 17 kilometres (11 miles) north of the city-centre, is the largest industrial belt in Kerala, with more than 250 factories manufacturing a range of products including chemical and petrochemical products, pesticides, rare earth elements, rubber processing chemicals, fertilisers, zinc and chromium compounds, and leather products. Fertilisers and Chemicals Travancore Limited (FACT), one of the oldest fertilizers and chemical industry in Kerala is located in Kochi. Kochi Refineries of (BPCL) at Ambalamugal is one of the largest oil refining facilities in South India. Petronet India has now almost completed Kochi LNG Terminal, for importing and storing natural gas, for energy and fuelling needs. Central Government establishments like the Coconut Development Board, the Coir Board and the Marine Products Export Development Authority (MPEDA) have head offices located in the city. 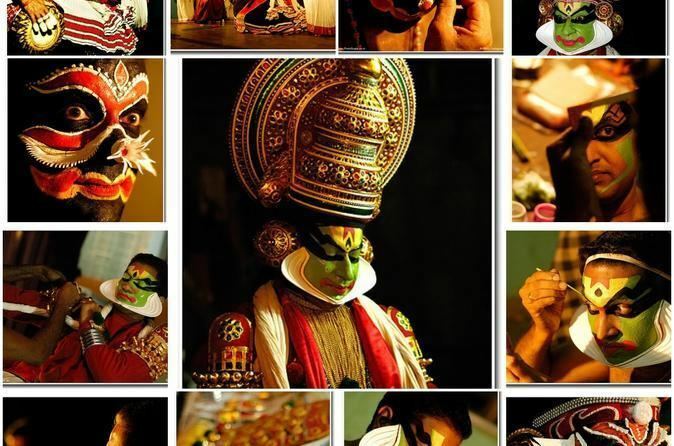 Like elsewhere in Kerala, tourism is one of the strongest drivers of the local economy. Ernakulam district, in which Kochi is situated, ranks first in the total number of domestic tourists visiting Kerala, and thus contributes to the economy of the city. The tourist enclave at Fort Kochi and presence of several historical monuments, museums etc. as well as natural attractions like the Vembanad lake and the backwaters attract large number of tourists to the city. Presence of several leading hospitality brands have been a major source of employment for locals. The Kochi Port is one of the leading ports where international cruisers call on regularly. The city has the first marina facility in the country Kochi Marina which attracts large number of yacht-totters. Real Estate industry is also one industry which is contributing a lot to the economy of Kochi. Many players have entered the market and have developed residential properties. Kochi is the headquarters of the Southern Naval Command, the primary training centre of the Indian Navy. The Cochin Shipyard, contributes to the economy of the city. The fishing harbour at Thoppumpady is a minor fishing port in the state and supplies fish to local and export markets. To further tap the potential of the all-season harbour at Kochi, an international cruise terminal and several marinas are being constructed. The IT and ITES related industries are growing up in Kochi. Availability of cheap bandwidth through undersea cables and lower operational costs compared to other major cities in India, has been to its advantage. Various technology and industrial campuses including the government promoted InfoPark, Cochin Special Economic Zone and KINFRA Export Promotion Industrial Park operate in the outskirts of the city. Several new industrial campuses are under construction in the suburbs of the city. SmartCity at Kakkanad is the prominent project under proposal. Cyber City at Kalamassery is another integrated IT township SEZ being planned in the private sector. Kochi is well connected to neighbouring cities and states via several highways. It is a node in the North-South Corridor of the National Highway system. The main arterial roads of the city are the Mahatma Gandhi Road and Sahodaran Ayyappan Road in Ernakulam, constructed in 1925 & 1962 respectively which runs parallel & perpendicular to the coast and having the proposed Metro Rail connectivity. The Seaport-Airport Road is another major road and connects the Cochin Seaport to the Cochin International Airport. The Infopark Expressway in Kakkanad is connected to the Seaport-Airport Road and stretches all the way to Infopark. Other major roads include Chittoor Road, Banerji Road, Shanmugham Road, Kochi Bypass, Kaloor-Kadavanthra Road, Park Avenue etc. A new ring road is proposed for Kochi city by the state government for which a project study is being currently undertaken by NATPAC. The city has two major railway stations – Ernakulam Junction and Ernakulam Town (locally known as the South and North railway stations respectively), followed by smaller stations - Tripunithura, Edapally and Kalamassery. There is also the Cochin Harbour Terminus providing rail connectivity to the southern segment of the Port of Kochi. The terminus is currently under renovation for the suburban rail networks in the city. The main rail transport system in Kochi is operated by the Southern Railway Zone of Indian Railways, and comes under Thiruvananthapuram Railway division. The South station is one of the busiest railway stations in South India, with more than 128 scheduled train services daily. The North station situated on the northern side of the city, caters mostly to long distance services that bypass the South station, and also is an additional halt station for many trains. The Kochi Metro is a metro rapid transit system for the city of Kochi, intended to considerably ease traffic congestion in the city and its surrounding metropolitan area. It is being set up at an estimated cost of ₹5,146 crore (US$800 million). The Phase-1 of the metro system will have 22 stations connecting the suburban towns of Aluva and Pettah while passing through downtown. The first half of the Phase-1 of Kochi Metro was inaugurated on 17 June 2017 by Indian Prime Minister Narendra Modi. Currently Kochi Metro is operational from Aluva till Palarivattom with 11 operational metro stations. Kochi has the second highest population density parameter in Kerala with 6340 people per km2. Kochi has a diverse, multicultural, and secular community consisting of Malayalis, Konkanis, Gujaratis, Bengalis, Marathis, Punjabis, Tamilians, kannadigas, Biharias, Anglo Indians and a few families of Jews among other denominations, all living in peaceful co-existence. The city once had a large Jewish community, known as the Malabar Yehuden—and now increasingly as Cochin Jews—that figured prominently in Kochi's business and economic strata. Kochi also has the most number of five star hotels in the state. These include international hotel brands like Crowne Plaza, Marriott, Le Méridien, Radisson Blu, Ibis, Vivanta By Taj, Holiday Inn, The Gateway etc. The general pattern of education is ten years of common schooling to reach the secondary level. Kindegartens are widely available, but considered separate from formal schooling, and generally unregulated. After the secondary level, three streams, namely Arts, Commerce or Science are offered for higher secondary education. After finishing the school, students can opt for higher education related to the streams they had undergone for higher secondary schooling. The Cochin University of Science and Technology (CUSAT) is a major university named after the city. Most of the colleges in Kochi offering tertiary education are affiliated either with the Mahatma Gandhi University or with the Cochin University. Kochi has one of the campuses of the Indian Maritime University at Willingdon Island. Sree Sankaracharya University of Sanskrit in Kalady is a research oriented university located at the outskirts. Other national educational institutes include the Central Institute of Fisheries Nautical and Engineering Training, the National University of Advanced Legal Studies, the National Institute of Oceanography and the Central Marine Fisheries Research Institute. There are many good people doing independent social service. The Italian Sister Fabiola conducts a home at Fort Cochin known as "Ashwasa Bhavan", for young orphaned children. Br. Judson run his own mobile bath in his vehicle for the abandoned: His "Mobile Bath Service" moves around Kochi mornings and in evenings to clean and clothe people living on the streets. Judson washes and cleanses their wounds, provides them new clothes and food, and takes them to shelters in the city. Sree Narayana Sevika Samajam, a charitable organisation situated at Thottumugham, Aluva, Ernakulam District, Kerala, India. It was established in the year 1965 under Societies Registration Act, Travancore, 1955. Sreenarayana Sevika Samajam seeks to give a home to those who would otherwise have none. The Southern Naval Command, one of the three main formations of the Indian Navy has its HQ in Kochi at INS Venduruthy. It is commanded by the Flag Officer Commanding-in-Chief. The Southern Naval Command consists of Flag Officer Sea Training (FOST), a training squadron, training establishments and bases, and land forces and survey ships. It has a naval air station, and a ship repair yard.